Thomas Hughes, running biomechanics specialist, discusses running form and biomechanics for triathletes. To optimise your running performance and reduce injury risk, he believes you do not need to learn to run. You just need to teach your body to learn to run. Part 1 of 2.
Who should get a running analysis done? Not learning to run, but teaching your body to learn to run. Common myths about running form and technique. Sitting and how it affects running. What you can gain from doing a running analysis. 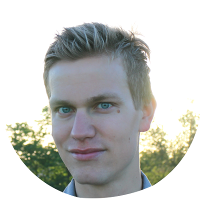 Tom Hughes is a running biomechanics expert who has been studying the movement patterns of the foot during running as a researcher at the university of Loughborough after already working as a medical doctor for some time. NOTE: I mentioned in the podcast that Tom has a PhD. This is not correct. He started his PhD research but did not finish the PhD. Tom asked me to add this correction when he noticed the mistake. After leaving medicine and doing his research, Tom got his coaching qualifications from British Triathlon and founded Tri-mechanics, his business based in Leeds. Tri-mechanics offers running analysis and helps both triathletes and runners to run healthier and better. There is a sentence from the Tri-mechanics website that says they're not teaching you how to run, but helping athletes learn how to teach their body to run. This is the way I think when it comes to running. Running is a relatively innate activity, we were designed to use it both as a method of hunting animals but also for transport. I come at it from the background that we were meant to be good at running, but our lifestyle changes have reduced this - e.g. we do a lot of sitting. I believe that the way we run is the product of what positions we sit in and what we do in our daily life. Trying to forcefully change your running patterns when you might not have the force or strength in the right places tends to lead to more compensation patterns. It's important to address the lifestyle patterns that lead to them first. For example, if you've got a runner who is running very stiffly, you can't just ask them to relax their shoulders or move their arms more. Why are they running stiffly in the first place? Is it because their hips are unstable because they spend so much time sitting? Forcefully changing the running pattern will result in compensatory actions from other muscles. We need to change how we ended up that way by working on strength and control, and defeating bad habits in our everyday lives. Example: Someone coming in saying they have tight hamstrings. It is often prescribed to stretch your hamstrings, which is actually the opposite of what you'd want to do. Why is the hamstring feeling tight? Is it shortened, or is it over-activating because the back and the glutes aren't doing their job. Someone who sits in an office chair all day will often complain that their hamstrings are too tight. If you don't address what they're doing sat in the chair all day, you can continue to stretch the hamstrings but it won't make any difference when they run. When you run you're in a state of being mildly stressed, and your brain will go to the easiest body pattern that it knows best. For a lot of people, that is the 'sitting' position. You need to address the habits that came before, but also address helping the brain rediscover how it wants to move. This may mean reducing the running intensity for a while. I do a lot of assessments on basic movements. One of the easiest things we can do is look in the mirror and go to stand on one leg. If you sway with your body over to one side, over the top of the standing leg, before you lift your leg, it's a good sign that the gluteus medius and the side complex of the hip aren't working properly. This is very common in adults who spend a lot of time sitting. A younger child will probably be able to march on the spot with no sway in their bodyweight. The way the young child lifts their leg off the ground is different to adults: imagine their pelvis is level and horizontal to the ground. The child hitches their pelvis - pull and push down with the standing leg, using the glute medius muscles on the side of the hip. This enables them to bring the other leg off the ground. When you spend a lot of time sitting you lose those side stabilisation muscles. When you run, that manifests itself in a crossover gait, where you bring your foot across into the centre. If you keep repeating this, it can often lead to achilles problems as well as other injuries. You want to leg to land slightly inside of shoulder width. This is also why lots of people get diagnosed with overpronation. It's nothing to do with pronation of the foot! It's a result of the landing angle created by the hip position. I can often predict how people are going to run based on a few simple movements (e.g. standing on one leg or squatting). These movements can then be used by the athlete at home to address the issues and testing whether any interventions are making any difference. If you notice you have difficulties with these movements, you need to think about the movement carefully, consider your everyday activities and discover what has caused the weakness. You stand on the edge of a step and you learn how to tilt your pelvis both down and up. Videos of this can help explain the exercise. This will help engage your glute medius in a way we can actually use when we run. Once this exercise has been practiced, we learn to hitch the pelvis which keeps it level, so we can balance on one leg and not tip over to the side. Following learning the hip hitch, you need to do certain one-legged work, ideally starting with support. For example: When doing a one-legged squat many people will put their foot in the centre to increase support and balance, however this just reinforces the compensation pattern. It makes you stronger, but it won't take away the cause of the problem. In a one legged squat, if your knee is shooting inwards it shows you don't have control of your side muscles. Learning to slowly go into this squat, keeping your knee straight and learning how to put it back if it pops off course, is really helpful. The control element is very important. If you're wanting to do a marathon, you're essentially going to have to hop on and off one leg for a long period of time. If you can't even do a one-legged squat comfortably with control, you can see what will happen over and over again as you run. A squat is normally a good demonstration of hip mechanics, as well as how much back and glute control you have. However, I don't think runners should be able to squat to the ground with our heels on the ground. Most runners have tightened heel cords which is quite a good thing. It increases elastic recoil of the ankle. You can do squats with either something wedged under the heel (e.g. a book), or by keeping the heel just off the ground. Slowly descend with control and keep the back nice and straight. If you watch yourself in a mirror and you can't squat to the point where your thigh is parallel with the ground, you likely need to work on your back and glute control. If you struggle with back and glute control and you sit a lot, it's likely that your back mechanics aren't functioning, possibly because of the alignment of your spine. I don't believe in chiropractors and adjustments because I don't believe it works for longer than about 5 minutes. What does work is learning how to tilt your pelvis forwards and backwards. A classic pilates move that can help involves using the imagery of a cup tipping forwards and back. The powerful posture video is 10 minutes long and goes through lower back and glute activation work. It's possibly the most beneficial 10 minutes of any exercise you'll see. If you are a sitter, I can guarantee you will need this. It works on 'foundation position' which is almost an 'anti-sitting position'. If you imagine when you sit: you round your bum, pelvis and lower back, but this works the other way and gets you to stick your bum back and out. It's rebalancing the lower spine, so when you stand upright you're essentially 'straighter'. Running improves by focusing on these foundational aspects of strength and conditioning, and then this transfers to running posture. If you watch kids run, they don't think about their form, they're just running. They're fantasically fluid and they just relax. If you put them in the right situation, most children have got a lot more fitness and endurance than adults. We are trying to return to how we were when we were fluid and moved more easily. Children are flexible and mobile because their brains don't shut their muscles down, which is what makes you feel like you're tight. I'm very anti static stretching because feeling tight isn't a demonstration a muscle needs to be pulled on, it's a demonstration that the brain has shut things down as a protection mechanism. When you try and reverse engineer this, you realise you just need to get those systems working properly again and you'll be able to run easier and more fluidly. When you run, it's driven by the unconscious brain. It's too stressful to control all those movements. You have to be able to move well and then the rest takes care of itself. Running softly is a real problem. Often when people run softly, when they land they sit down. Imagine they land and they bend the knee and they sit down, they absorb all of the energy because they are told that the impact is a bad thing. Running becomes a very stop/start exercise and doesn't make use of the elastic recoil. Running should be a return of energy. Impact forces don't cause injury. We are designed to be able to absorb those impact forces without a problem. It's inappropriate impact forces that go to the wrong place that cause issues. If you become fearful of impact, you will try and get rid of it and this can cause more damage to the hip and knee through increased absorption of energy. For example: if someone is running on the treadmill near you and making lots of noise, that sound is the impact force that's coming back out again. If you had someone at the same speed and weight who didn't make any noise at all, the energy is being absorbed. This might be absorbed into their shoes (if they're lucky), or their joints or tissues. You need to feel the force, use it and send it back out again so you don't absorb it. When you do this, you not only get faster but you absorb less energy that can damage tissues and cause injury. In terms of biomechanic myths, a forward lean is another thing people try to forcefully change. It may not be a bad thing if you sit back naturally so you use a forward lean as a way of bringing you taller. However, when most people try to lean forward they dip their head forward. When you do this your pelvis sits back. If you get a side on picture of an elite runner, their head is directly over their shoulders, which is directly over their pelvis in one tall position. They might have a very slight lean forward. If you forcefully try and lean forward you invariably bend at the waist, tip the head forward, and drop your pelvis back. I like people to consciously run tall and open up the chest and shoulders. This can be encouraged by an exercise before running: take a few big deep breaths in through the nose which puts the chest in the right position. Everything beneath your waist, you aren't in control of anymore. Don't think about landing in a certain way, it is function of the way you're set up. If you're running tall and your pelvis is in the right position and you've sorted out your back and glutes, you will land on a mid-forefoot beneath your pelvis. The critical thing is landing beneath your pelvis, not whether you heel strike or forefoot strike. You can't change something that should be a function of how your body is setup as it will cause injuries. This is particularly important for triathletes as it's easy to lean forward at the waist when running as you've been in that position on the bike. What I offer is a window into what you might be able to change, irrespective of whether you're injured or not. For example: Offer a blood test to the whole population, regardless of whether they think they're healthy or not. You will find that in some people who think they're healthy, the blood test shows that they may need to make some lifestyle changes to improve their health (e.g. change diet). It offers a window into that. I see a lot of people come in who haven't had any injury issues, but they might not have done lots of running, or they're wanting to increase their mileage. A running analysis can give a window into 'yep everything looks good' or 'no, if you work on X,Y,Z, you'll get a bit stronger and be more resillient'. I also see a lot of injured runners come for assessments, and then it's a different tact. We try and search for the root cause of what led to the injury. You don't always need a specialist for this, you can do a lot of your own work. Get a camera and record yourself running to look at it more specifically. Once you've identified issues, when it comes to the "how to fix things", you might need more specialist input. I had someone in earlier today who was so good at doing the exercises very mindfully. She was on the treadmill which is in front of a mirror and she said it's amazing how aware you become of your body when you can see yourself at the same time. I didn't need to tell her that because she saw it and had the tool to do that. Rather than trying to fix problems I'm trying to give the client a window into identifying them and fixing it themselves. I tend to see people once, twice, or maybe three times for a follow-up. I like to see people for a follow-up so they can see they have improved and know the work has paid off. If you can't see the changes, it's easy to give up on the exercises. If you were given a book and told at some point in the future you'd have to take a test on that book. You'd probably go home, have dinner and think "I'll start revising tomorrow". Whereas I like to think that if I can say to my clients "you've got 2 weeks to come back in and prove that you can do this" they'll be more invested to do the work and see the result. A lot of this biomechanical learning isn't strength based, it's coordination based, so if you do them 3 times a day for 5 days they'll have an effect that quickly. This perpetuates the cycle of wanting to improve, and see the improvements in themselves. You want someone with good experience in running. You also want someone that can pull all the elements together - someone that asks you what job you do. If you spend 8-9 hours a day in a certain position, that will effect how you run and needs to be considered during this analysis. If they just focus on your running, that's probably not enough of an analysis as the bit you need to address is the cause of any problems. Similarly with a bike fit, you would want them to work with your actual bike and assess you as a person. They should also ask what distance you are running, your nutrition etc. If you've got a running injury, your nutrition is as important as rehabbing the injury. If you're not getting the amino acids that support tendon repair such as glyceine or prolein that you get from colagen, or your not getting anti-inflammatory foods, you might never rehabilitate it properly. A holistic service is really important, it's all part of it. If someone isn't considering all of these things then they're not giving you a good service. You can't look at running in isolation, it is a factor of all these elements (posture, job, nutrition, distance, goals) put together. Sitting itself isn't a problem, but the amount of time continuously being in one position can be a problem. Sometimes standing can be a problem if done continuously. It's all about moving a bit more! It's also about what you're sitting in - office chairs with lumbar support are the worst thing for the back, pelvis and glutes. If you have to sit, sit on a stool or something that means you have to move around and twist. Driving can also be a problem because it puts you in one position. Try and focus on not remaining in any one position for a long period of time, whatever that position might be. Habits like going for a run, and stopping straight after, can be a problem. Moving yourself around after a run can be beneficial, e.g. stretching or massage. Hydration is important for tissues between your fascia and muscles. They are only hydrated when we're hydrated enough and create pressure to push the fluid into that space. When you get up in the morning you feel "stuck together" and need to move for a while to feel better. It's the same with running! Make sure you're going into a run well-hydrated, and practice movement before you start running (e.g. squats). If you don't do this, your body may well go into a stress response when you start running. I often see triathletes make the mistake of training on the turbo in the evening when they're dehydrated, and they have a fan on so they don't sense it, and they don't drink much after because they don't want to wake up in the night. When they get up the next morning they'll be dry as a crisp, and they go straight out for a run when their tissues are locked and stuck together which can be damaging. If you work in an office job, get rid of the chair. Ergonomic chairs are given by employers to stop back pain, but they often just make it worse. Similar to an orthotic in a shoe that just cradles the foot, but makes it weaker. If you sign a consent form that you're happy to not sit in your ergonomic chair, your employer will be fine with that. Change it for a stool with no back. The best ones are called 'saddle chairs'. If you want to see what natural sitting posture looks like look at a horse rider/cowboy. They sit with a nicely straightened back (not over straight but no rounding of the lower back). Don't bother with a swiss ball because after about half an hour people tend to fatigue and round into the ball which causes further problems. Move as much as you can! Set yourself a timer in your mind to move every 5 minutes. Fidget. You don't need to get up and move every time, although that would be ideal. Twist your body rather than swivel your chair. I recently drove from where I live in England to Annecy in France, which involved 5-6 hour stints of driving. I felt really comfortable driving because my car seat is designed to hold me in one position. However, when I got up I couldn't move properly because my brain had shut things down after I'd stayed in one position for so long. If I'd just moved around a little more I'd have been fine. If you can get up and actually walk around, do that.